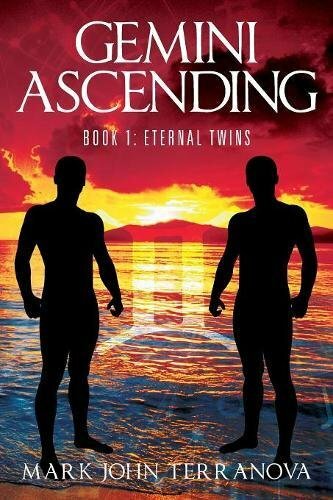 “Gemini Ascending Book 1: Eternal Twins” by Mark John Terranova is a fantasy novel following the mysterious James Montgomery, born in the 17th century, as he searches for his lost fraternal twin in the modern world. Following multiple perspectives, the reader watches the story progress from every side with a plethora of characters. The opening sentence draws the reader in from the beginning and the rest of the first chapter sets up a unique narrative. The prose is poetic but not convoluted. Unfortunately, that doesn’t carry on beyond the first chapter. As the book progresses, the prose retains its lyrical tone but dissolves into a tool for information dumping instead of truly progressing the story. Several different plotlines with very different narrators are thrown at the reader within the first few chapters and it is difficult to keep track of them all. I found myself rereading entire chapters and taking physical notes to do so. The point of view jumping quickly becomes less entertaining, and more of a hindrance to the main plot’s progression. It is swamped with a multitude of narrators that could have been more useful as background characters. There is an overwhelming amount of dialogue that reads awkwardly and is insufficiently tagged, with long passages where it is unclear who is speaking. Oftentimes the dialogue just repeats things that have already been stated by the prose, reiterating old pieces of information. The overall story itself is an interesting one, once the reader figures out which characters they should be paying attention to. The main issue is that the reader is constantly pulled out of the story while they try to make sense of the dialogue. Most of the characters are also unlikable. I didn’t sympathize with any of them and found myself far more interested in the plot itself. For that reason, I would have to recommend this novel to more plot-driven readers, as I find it unlikely many people will get anything out of the characters themselves. Mark John Terranova plants the seeds for an intriguing series with this first installment, “Gemini Descending.” The writing has time to improve throughout this adventure, and the plot itself is interesting enough to carry readers forward. Strengthening the dialogue and prose can only make this story stronger. A series, no matter how many books, should grow far beyond its starting place by the time it reaches the end.